Technician.Academy has released its 39th podcast episode with automotive industry expert Donny Seyfer. The podcast is now available for listeners via the Technician.Academy website and other subscription channels: Google Play, iTunes, and Stitcher. 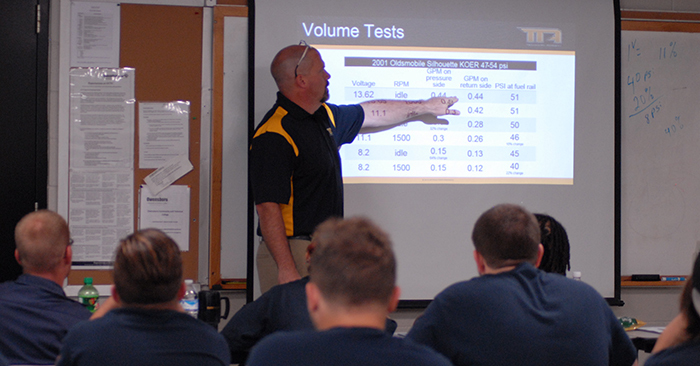 Podcast Summary: Episode #40 of Technician.Academy’s podcast series provides an expansive discussion with automotive industry expert Donny Seyfer. Seyfer is a contributing editor to Babcox Publications and a contributor to Autobody Repair News, MotorAGE, and AutoInc. Magazine. Seyfer is also a co-owner of Seyfer Automotive Inc. in Wheat Ridge, Colorado and is an integral member of multiple automotive boards and foundations, including the National Automotive Technician’s Education Foundation (NATEF) Board of Governors and the National Automotive Service Task Force (NASTF). The podcast provides a lot of insight into Seyfer’s involvement in the industry and the need for automotive education programs that focus on the strengths of tactile learners. Seyfer also discusses how important it is to show future technicians a career path. Tune in now.